The Pacific Northwest of the USA might be one of the more overlooked corners of the river-cruise planet, but Captain Rivers reckons it provides one of the wildest, most scenic cruises anywhere. 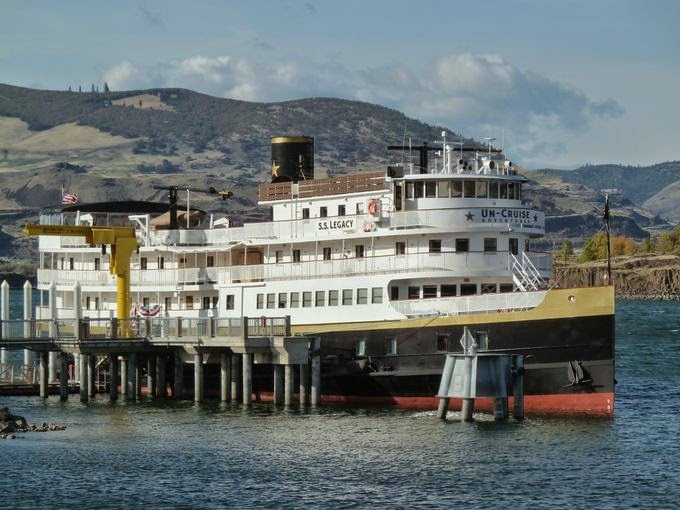 Now Seattle-based small-ship cruise line Un-Cruise Adventures has added more river-cruise opportunities in the Pacific Northwest, with the S.S. Legacy scheduled for 34 departures on the Colombia, Snake and Willamette Rivers from April-November 2015. The cruise departs and ends in Portland, Oregon. Highlights include a jet boat tour into Hells Canyon, Multnomah Falls, Bonneville Dam, private tasting at a Washington winery, Fort Walla Walla, Maryhill Museum, Columbia Gorge Discovery Center, Astoria’s Columbia River Maritime Museum, Fort Clatsop and a transit of eight locks. View over the Colombia River, USA. The rich history of the rivers comes alive through shore excursions and lively on board presentations that focus on Lewis and Clark’s expedition, the Oregon Trail, native Americans, early pioneers and entrepreneurs. The SS Legacy is a replica coastal steamer that emulates the steam ships found along the rivers in the early twentieth century. Public spaces include an elegant Klondike Dining Room, Grand Salon with dance floor, wine bar and rollicking Pesky Barnacle Saloon. (It’s true, Captain Rivers doesn’t make these things up.) Wellness amenities include two hot tubs, a sauna, an included massage, fitness equipment and yoga on deck. If you’ve cruised the Pacific Northwest and feel you have something to add, please do so. Our readers appreciate your tips and memories.